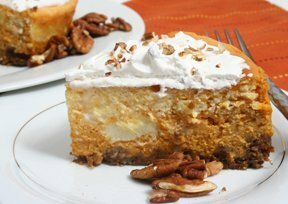 Fall is the time for pumpkin, but this outstanding cheesecake, prepared with fresh pumpkin puree or canned pumpkin, is great year round. 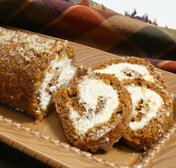 Serve with a garnish of pecans and a dollop of whipped cream for a fantastic dessert treat. See how to clean a pumpkin so that it is ready to carve your favorite Jack-O-Lantern for Halloween. See tips on carving a pumpkin to create your own unique Jack-O-Lantern this Halloween.